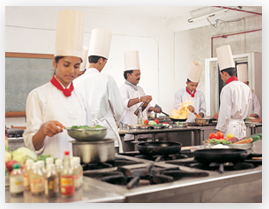 Life in hospitality industry is filled with exuberance and working in it is like a dream every day. A dream that take you places across the world to experience unique cultures and exotic cuisines. You get to work in luxurious palatial ambiences and network with iconic personalities from every field. Hospitality business is largest industry in the world and is still surging ahead. The demand for qualified manpower ensures lucrative careers with high paying packages and performance incentives. The industry offers unique advantage of rapid career growth along with job security. Graduates of hospitality enjoy prolific careers in places like luxury hotels, resorts, airlines, restaurant, and cruise lines. The advent of event management&entertainment firms and concepts like eco-tourism &health tourism has opened new vista for prospective careers. 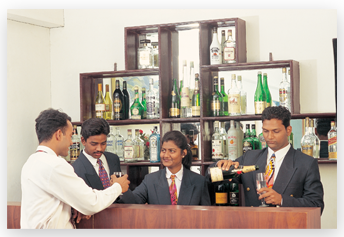 Hospitality being integral part of every business offers wide number of employment opportunities in every sector and every industry, be it IT, banking or any corporate organization.